7 Are Motorcycle Bloggers just Glorified Laptop Bikers..?? Yep, I am one too.. In just a couple of months, this blog of mine will complete 5 years. 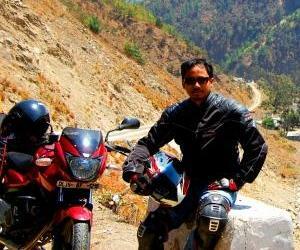 Started in Aug 2006, it is one of the first motorcycle blogs of India. Though out these 5 years I have seen quite a few motorcycle/auto blogs prop up. While most of them have fizzled out while a few still do exist. I have never raced on a race track, I have never tried stunting, I have not even toured extensively.. 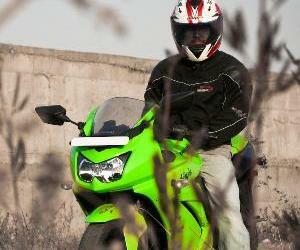 Many guys who happen to stumble on my blog think that I am some kind of motorcycle expert. Daily I get many e-mails asking for my suggestions and "Advice" on motorcycles. I still get embarrassed when people think of me in this manner. I continue to maintain humbly that I am just another "biker next door" from India. I can tell you for sure that none of the "desi motorcycle bloggers" out there are any better/expert than me. So are Motorcycle Bloggers just glorified Laptop Bikers..?? If our auto journalists from reputed magazines happen to read this, I am sure they would be nodding vigorously in unison (with a grin on their faces) by now. I have never raced on a race track, I have never tried stunting, I have not even toured extensively, and most of my biking has been limited to commuting. 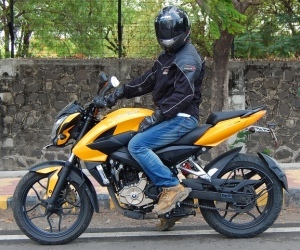 In fact to tell the truth since I bought my car six months back, I have hardly touched my Pulsar 220 to even commute. If this doesn’t make me a glorified laptop biker, then what will? In my defense I only have to say that I still think enthusiastically about motorcycles 24/7 (yes, sometimes I even dream about them) and I publish my thoughts on this online dairy called "The Bike Chronicles of India". I do not take my Pulsar 220 out on the roads these days since the "khaki mamus" treat non Maharashtra registered vehicles on the road as an eagle preys on a hapless juicy rabbit. 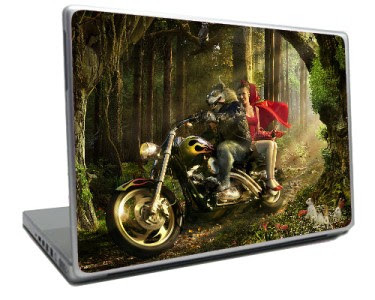 If any fellow blogger is reading this then it is my request to them not to get offended by the term "Laptop Biker". Even the great Stephen Hawking remains physically limited to his wheelchair, but his brilliant mind enthusiastically remains busy unraveling the mystery of the universe 24/7 and giving us gems like "A brief history of time". 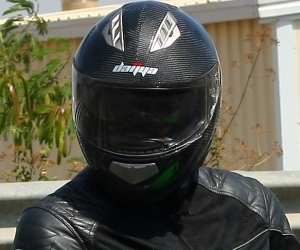 It’s just that I do not like to be thought of as just another “desi” motorcycle blogger with sensational baseless stories like "Mahindra Cevalo for India", "Yamaha R125 for India" or "Ninja 250R in India for Rs. 1.5 lakhs" to tell. Life Cycle of a "Desi" Biker..
the idea to compare Stephen Hawking and the free thoughts of the so called "glorified laptop bikers" is just brilliant..
Can't wait to ride with you in Pune.. Laptop or not (coz I use a desktop for the job ;) ), but one thing is for sure... it takes a lot more than a bike and attitude to ride, to be called as a "Biker", to me it's a belief, a sense of camaraderie, a free spirit that are the ingredients of a biker and the biker's thoughts. A true Biker would never resort to, as you call it LSD, and if there is such indulgence, then I doubt on being that person a biker in the first place. @Benny, sure look forward to your ride in India, hope someday I'll be there in Indonesia too. 5 yrs.. is great.. always been a fan of yours.. I mostly belive in having vision and mission before starting anything like this. Without vision we don't know where we will go and without mission we don't know what to deliver in order to acheive our vision. I belive you are very much on track with your vision and mission. 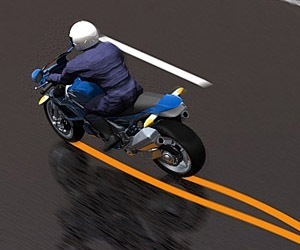 To build a great blog for motorcycle you must have passion for motorcycling but that does not mean that you should always be a motorcycle manic. I can not comment more on this thing as i am not a motorcycle blogger.